Let's face it Norway and Sweden, the way people drink in this part of the world is not always followed by the word "classy". The mindset of drinking heavily on Friday and Saturday nights is engrained into much of the population and has been for generations. And with the price of beer, wine and spirits increasing, most of the population consider the cost of "going out" to be quit ridiculous. So the home party, or "vorspiel" has continued to be the ruler of the night in much of the country. The local bars don't see much of the crowd until well after midnight as the home party offers the wallet a little more protection and a place for the tax free wine to be splashed around. But as Scandinavian's put on their party shoes and prepare for a night ahead, not much thought is given to "how to drink better". Most thoughts are centered around, "how to drink more!" So time and time again, the home party consists of badly prepared, double and triple strength drinks that are just as nasty going down as they look. Getting tipsy before heading out is the ultimate mission for most home party goers, and that mission is 100% fine with us. All we want is for that experience to be done better. Because guess what, it can be! Around the world, we are experiencing a cocktail renaissance and a renewed level of how to drink better. Cities, far and wide are playing host to some of the most creative drinking venues ever put on the planet. Bartenders are sharing information and drink trends are moving faster than ever as the explosion of knowledge and skills leaps into the drinks community, much like it has already done with food and chefs. Cocktail BootCamp was born out of the idea that if The Liquid Engineers could help educate thousands of people a year in the art of making cocktails and drinking better, then hopefully that education can translate over into better drinks being made at home parties. And if better drinks are being made at home parties then the level of knowledge will have risen and the level of expectations for guests as they come out to Norwegian and Swedish bars will also rise. This in turn will cause the bars and bartenders to perform at a higher level as their guests become more aware of what is good and what is not. Ultimately, this is what bartenders and bar owners need. Better, more informed guests who can appreciate the effort made by skilled bartenders and on the flip side can eliminate some of the more seedy, horrible bars that are doing nothing to raise standards or evolve. Drinking trends are like fashion and right now, the world is playing host to an amazing time in cocktails. We just want the good people of Norway and Sweden to get a taste of that trend and catch up with the rest of the planet. 1. COCKTAIL BOOTCAMP - A live show designed for events, conferences and company kick offs. 2. 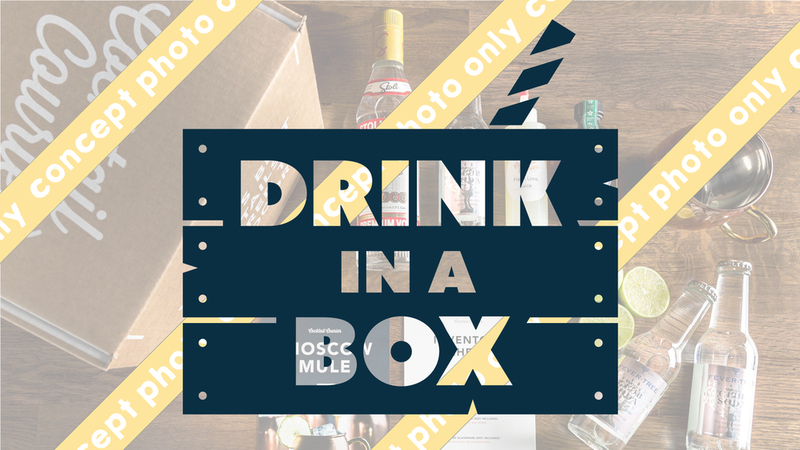 DRINK IN A BOX - Home delivery of fresh cocktail ingredients and recipes for your next home party. At Liquid Engineers, we've poured our hearts into making 2 fantastic programs that can help bring about change in what people drink. As more and more cocktail bars open up in the major cities, more and more people will be exposed to better drinks. However, the time frames of drinking make it hard for bartenders to share the knowledge. We sincerely believe that our role is to help provide as much education to the home cocktail maker so they can dominate their environment and serve up delicious drinks they can be proud of. They can then head out into town, visit their favourite bars and be more informed of what is going on, what to order and then how to drink it. Can we change a nation's drinking culture? Damn right we can! We MUST!